Malaysia undoubtedly is one of the captivating and modern countries in Southeast Asia. The diversity of modern and colonial architectural style with the background of Titiwangsa mountains is exceptionally beautiful in Peninsular Malaysia. This time I mainly enjoyed to explore Kuala Lumpur. At the same time, I’ve loved the natural beauty of Cameron Highlands in East Coast Malaysia. I had no idea this country could have so much to offer. The following 7 must-read travel books to visit Malaysia and explore the best. I must say, I’m highly impressed by the high-tech infrastructure of the capital city of Kuala Lumpur. Petronas Twin Towers and Kuala Lumpur Tower became the main attractions and landmarks in Malaysia. Though beautiful skyscrapers in Kuala Lumpur attracting the majority of tourists there are many other destinations which truly worth to visit. And so I’ve started to read Lonely Planet Malaysia for a second visit in Malaysia. And more inside before planning a trip to Malaysia, yes truly Asia. 8 Like This Post? Click To Save To Your Pinterest Board! Insight Guides: Malaysia will definitely provide you the insight tips and information to explore the best of Malaysia. This travel guide also depicted about the history, people, and culture of Malaysia. Many travel tips from the local experts will surely help any first-time visitors to explore this diverse country. A must-read travel guide to explore Kuala Lumpur top attractions to the wild nature of offbeat destination East Malaysia. Malaysia – Culture Smart! : The Essential Guide to Customs & Culture by Victor King is completely an essential guide to get the depth knowledge of Malaysian culture and custom. Before visiting a multi-diverse country like Malaysia, knowing the local customs will definitely add an extra benefit for any traveler. The writer as a regular visitor in Malaysia nicely pointed out many dos and don’ts before a trip to Malaysia. A must-read guidebook to make yourself familiar with the common etiquettes and custom of Malay peoples. 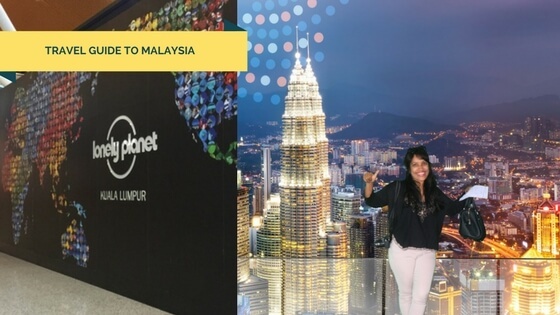 Lonely Planet Pocket Kuala Lumpur (Travel Guide) is the best Kuala Lumpur tourist guide to explore all top attractions in the city. Too handy and easily accessible for all to get insider tips and information related to Kuala Lumpur. From budget travelers to luxury will find it essential for all current updates to visit Kuala Lumpur. You might like to read Lonely Planet Kuala Lumpur, Melaka & Penang (Travel Guide). This guidebook will also help you to make a historical and World Heritage Site tour in Melaka and Penang. Malaysia & Singapore Travel Guide: 101 Coolest Things to Do in Malaysia & Singapore (Malaysia Travel Guide, Singapore Travel Guide, Kuala Lumpur, Melaka, Langkawi, Cameron Highlands, Penang) will work as a two-in-one travel guide to explore all about Malaysia and the neighbor country Singapore. For quick information and to save your time, this guide is a must-read before planning a trip to Malaysia. If you have a plan to visit Singapore then you can check all the coolest things to do in Singapore as well. This guide will also provide you with many ideas about top places, local food and restaurants, authentic shops, events, and festivals in nearby destinations. Malaysia: Recipes From a Family Kitchen is a great cookbook to know all about Malaysian cuisine. It’ll be rare to find any traveler who didn’t love the food of Malaysia. Specially Satay with Peanut sauce, one of the famous street foods in Malaysia. There are many varieties of Malaysian food and must-try for all food lovers around. The writer Ping Coombs nicely depicted her family recipes (more than 100) to taste the best of Malaysian food. She herself from Malaysia and also the winner of 2014 MasterChef. So read, cook, and eat with Malaysian cook. Enchanting Penang (Enchanting Asia) is an ultimate guide to visit Penang, the beautiful island in Malaysia. The Australian writer David Bowden who himself lives in Malaysia and provided informative details to explore Penang. Penang inscribed as UNESCO World Heritage Site. A tour in George Town, the capital of Penang will take you to the British Colonial era in Malaysia. Penang is also known as the food capital of Malaysia. This travel guidebook will definitely help you to plan your perfect holiday in a famous destination like Penang. Wild Malaysia: The Wildlife, Scenery, and Biodiversity of Peninsular Malaysia, Sabah, and Sarawak is a must-read travel book to explore the wildlife of Malaysia. This informative book was written by three local experts, Geoffrey Davison, Junaidi Payne, and Melvin Gumal. The wildlife of Malaysia nicely protected in Peninsular Malaysia, and East Malaysia (Sabah, and Sarawak). East Malaysia is less visited by tourists. But the most natural beauty, and wildlife experiences you’ll get from East Malaysia. Furthermore, this beautiful book will give you the detailed habitats of the plants, trees, birds, animals, and many species according to the destination. Let’s share. 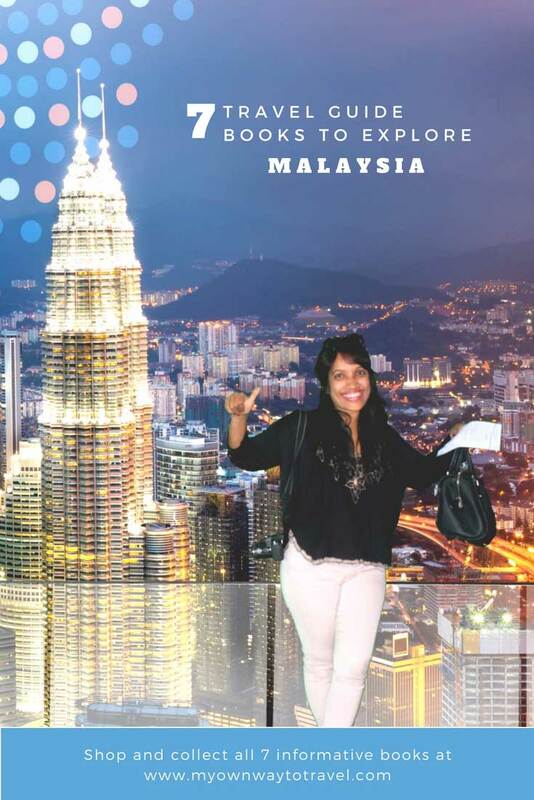 Will you like to recommend any other Malaysia travel guidebook to plan a trip? Lonely Planet is always a go-to guide. I’m glad to see they publish one for Malaysia and that you recommend it. I do have documents and info saved digitally when I travel, but it’s a good idea to have a paper book/map just in case! Yes, sometimes better to keep both versions. Lonely Planet is the top favorite one for all time. Thanks for the recommendations and the useful materials for traveling in Malaysia. For me, Kuala Lumpur is all about food as Malaysia has a wonderful mix of cuisine around the region. Always look for new ideas and tips for local food joint and try them all! Yes, Asian food is must try during your trip to Malaysia. I love lonely planet books. I love Malaysia too, undoubtedly one of the best in Asia. I visited KL countless times for mountain trekking and food. 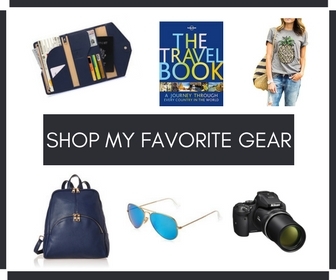 Love reading travel books before visiting a place and I’m glad you have this list handy. So excited for our next visit to Malaysia this year! Kudos!